Stay in touch with people, share important documents, access your calendars, and more. How to Access Gmail from Anywhere? Gmail Is Not Accessible Everywhere! Around 1 billion people across the world use Gmail as their preferred email service provider. However, it isn’t accessible in some countries, making it difficult to keep in touch with people and maintain productivity. Why you need a Gmail VPN? Who doesn’t love to travel? Whether you’re doing it for business or pleasure, you may find yourself in a country or region where Gmail is inaccessible. This means that you won’t be able to contact your friends and family, or reply to those urgent emails sitting in your Gmail inbox. If you don’t want lose access to Gmail during your travels, make sure to install PureVPN on your device before you head out. PureVPN is the best Gmail VPN that can provide you with instant access to the email service from anywhere. When you move abroad to another country for whatever reason, you are exposed to new things. Not only are the living conditions different, but also the food, culture, and social norms vary greatly from back home. However, not being able to use your favorite services such as Gmail can make things considerably difficult. 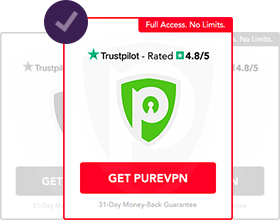 For expats facing such problems, the solution is PureVPN. 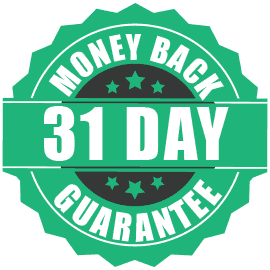 It’s the best Gmail VPN which allows you to change your location at the click of a button to access Gmail from anywhere. If you use Gmail, it’s very likely that you rely on Google Calendar, Google Docs, and other Google apps and services. The email service’s integration with Google apps is what makes it a popular choice for both businesses and individuals alike. When you’re unable to access Gmail from a certain region or country, chances are that other Google apps won’t be available either. With a Gmail VPN like PureVPN, you can spoof your location and gain access to Gmail as well as other Gmail apps with complete ease. Everyone uses public WiFi for their convenience, and of course, because they offer internet access free of cost. The thing is, these networks pose a grave threat to your personal data as their open nature and lack of security make it easy for hackers to intercept your emails and access its contents. Using a reliable Gmail VPN like PureVPN, you can stop intruders from snooping on your Gmail account as well as other online activities. Not only is your traffic encrypted from end-to-end, but also your IP address is masked with that of another country for an additional layer of protection. Did you know that email surveillance is one of the most effective ways for governments to collect valuable information? The NSA is known for gathering and searching through the emails of Americans they “suspect” to have ties with terrorist groups. A Gmail VPN like PureVPN is all you need to protect yourself from this serious invasion of privacy. Your emails are protected with a layer of our strong encryption, keeping its contents safe from the claws of onlookers. Why you need a VPN for your Gmail account? If Gmail is inaccessible in your country or region, you can instantly access to it with the help of a VPN. All you have to do is connect to a server location where Gmail is accessible, and you will be able to use Gmail. In addition, if you want your emails to stay private from prying eyes, a VPN is an indispensable tool as it will secure your email exchanges as well as other private data within your Gmail account with top-of-the-line encryption. What should you look for in a VPN for Gmail? You will probably use Gmail on multiple devices (tablets, laptops, and smartphones), so make sure to opt for a VPN that works on all major platforms. 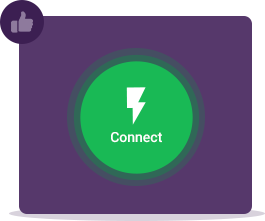 PureVPN offers easy-to-use app for Android, iOS, Windows, Mac, and Linux. There are also configurations available for other supported devices. Can I access Gmail from anywhere? If you live in a country or region where Gmail is inaccessible, you won’t be able to access it without a VPN. With a global network of 2,000+ servers, PureVPN makes accessing Gmail from anywhere in the world a reality. No problem at all. PureVPN’s Customer Support team is available 24x7x365 to assist you via email or live chat. Does PureVPN monitor or store my emails when I use Gmail? Is it safe to use a VPN with Gmail? Indeed it is! VPNs are used by millions of people across the world for securing their data transfers across the internet, and this also includes emails. 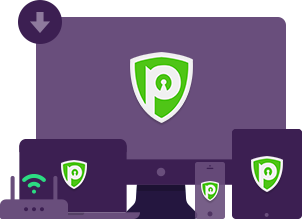 Besides letting you get around digital roadblocks to access services like Gmail, PureVPN also takes your privacy and security game to the next level with unparalleled features like WebRTC Leak Protection, Internet Kill Switch, Military-Grade Encryption, etc.